The last heron chicks are gone. They had spent many long days peering over the edge of their nests at the lake, the fields of salt grass, the sparkling gulf shore, the far horizon. They stepped into the wind knowing how to fly. They could not fly well; not at first. They fluttered across the tops of trees until they adjusted their wings to fit. The comedy landings became more poised. A few days ago, the last chicks learned to hunt along the edge of the lake. They stood silent for minutes or hours, a single file of gray silhouettes that occasionally broke the water with a fish in the long beak, swallowed whole. Now they could fly, land, feed themselves. The empty nests at the top of the tallest oaks, waving in the wind, holding together until the re-building time. 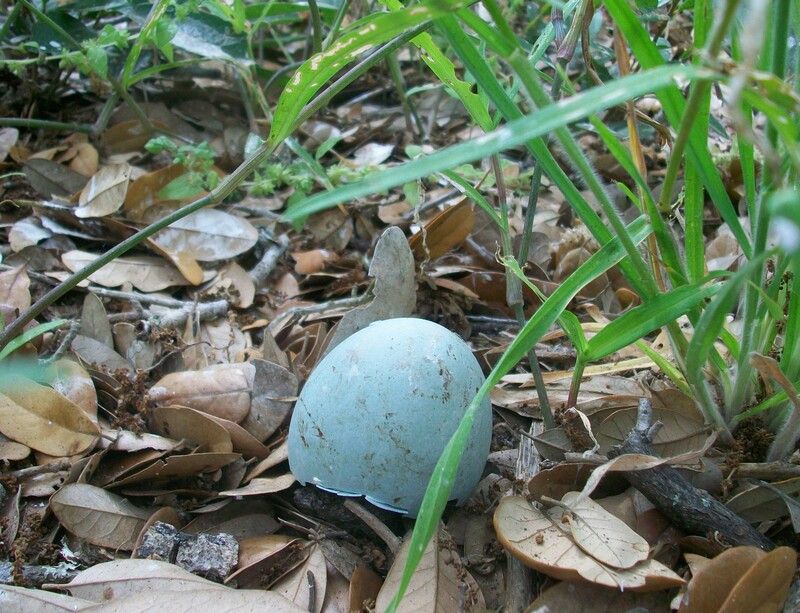 The pale blue half-shell remnants of heron eggs in the grass beneath the nests. The potent white residue of blended frog, fish, and field mouse–the mother’s milk of herons. The beautiful long bluish feathers on the ground. The silence that follows the raucous rusty-throated chatter of herons learning to speak. The last chicks leaping from branches and fading into specks in the deep blue sky. 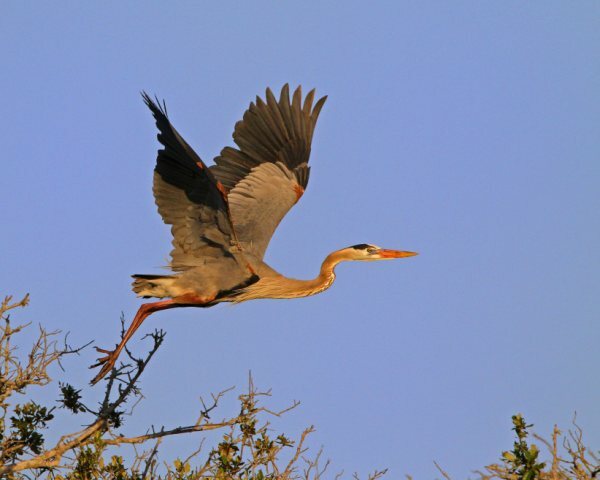 My friends ask, How are the great blue herons? I say for now they are gone up north. Not north as a direction, but as a wonderful place in the summer. It is wonderful, because I know they will return. « Who Wants to be a Square Tomato? Your story is told so well, i could all unfolding in my mind’s eye.. there are life lessons here for us all.. thanks greatly for sharing.. i would like to come out and witness the Heron’s return. Thanks for taking time to share with us all..